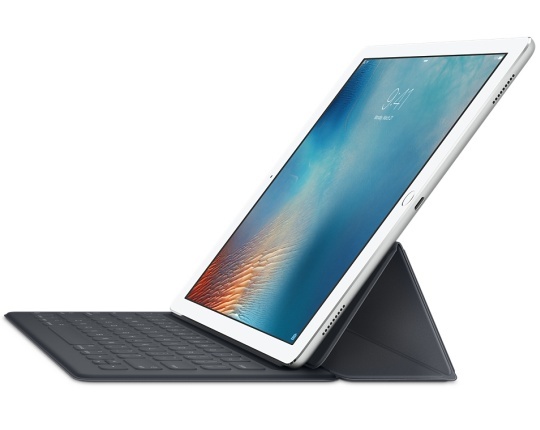 The Smart Keyboard combines an array of new technologies and materials to create a keyboard like no other. 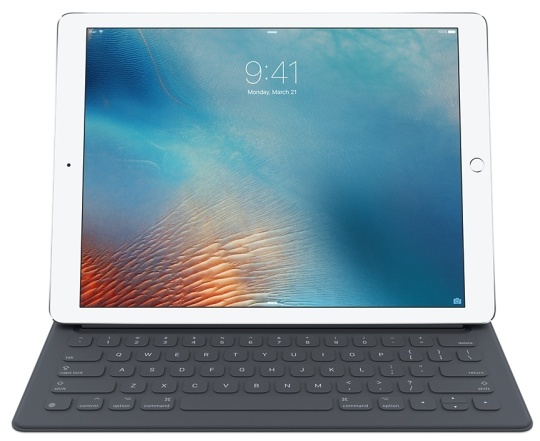 It’s a full-size keyboard that’s fully portable, and connects to iPad Pro with the Smart Connector, an innovative new interface that allows for a two-way exchange of power and data. 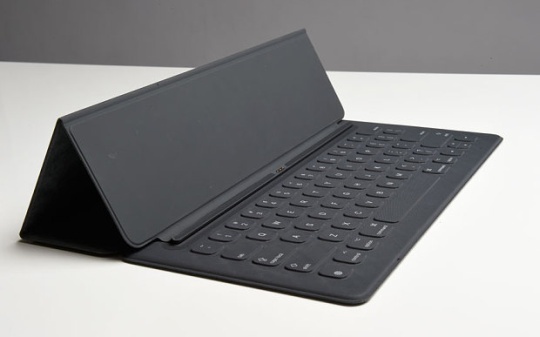 Just attach the Smart Keyboard and start typing. 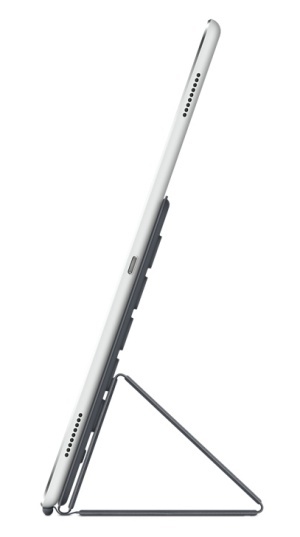 And when you’re done it folds together to create a slim, lightweight cover.